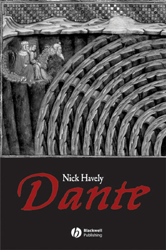 A comprehensive guide to Dante's life and literature, with an emphasis on his Commedia. This text looks at the influences that shaped Dante's writing, and the reception of his work by later readers, from the 14th century to the present. Introduces Dante through four main approaches: the context of his life and career; his literary and cultural traditions; key themes, episodes and passages in his own work, especially the Commedia; and the reception and appropriation of his work by later readers, from the fourteenth century to the present Written by an expert Dante scholar. Provides new translations of substantial passages from Dante's poems and from the world of his contemporaries Includes explanatory diagrams of Dante's 'other-worlds', and a section of illustrations by medieval and modern artists. Builds a vivid and complex picture of Dante's imagination, intellect and literary presence.